The NHS/CSF Fall Membership Drive has begun and the deadline for students is Friday, February 22nd. Students can go to the link https://dphs.formstack.com/forms/nhscsf2018fall or scan the QR code on the flyers posted around campus to see if they are eligible based on their fall semester grades. The link is also located under News & Announcements on the DP website. Pay your dues online (the preferred method of payment) and make sure that your NHS community service hours are completed by the deadline. This Saturday's Beautify DP can count toward their NHS community service requirement for fall semester or spring semester.. 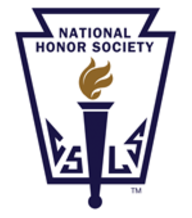 Please be aware that 9th graders are only eligible for National Honor Society. Eligibility for CSF is for 10th-12th graders only. Contact Ms. Stone in the Counseling Office with any questions.